Discover the best of Vietnam’s awe-inspiring natural beauty & inspiring culture on our 12 Day Vietnam Tour with return airfares. Explore the city of Hanoi, cruise the iconic Halong Bay, wander the ancient streets of Hoi An, tour the cities of Hue & Ho Chi Minh, immerse in the culture of Mekong Delta & experience the remnants of the Vietnam War at the Cu Chi Tunnels. Does packing make you stressed? With us it won’t! Enjoy return airfares, taxes and fuel surcharges included in the price! 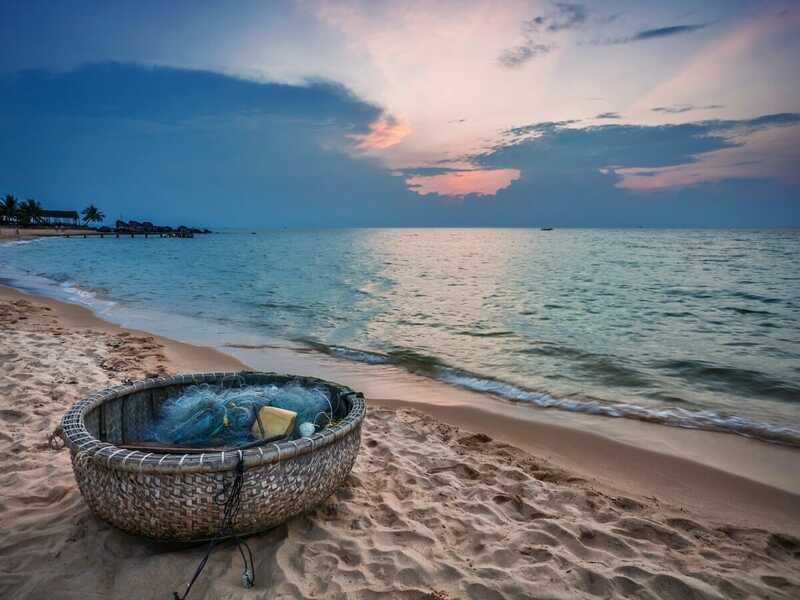 Enjoy a total of 9 nights staying at a range of quality accommodation in Vietnam! Your accommodation is sorted when in Hanoi, Hoi An, Hue & Ho Chi Minh City (3-4 star local rating). 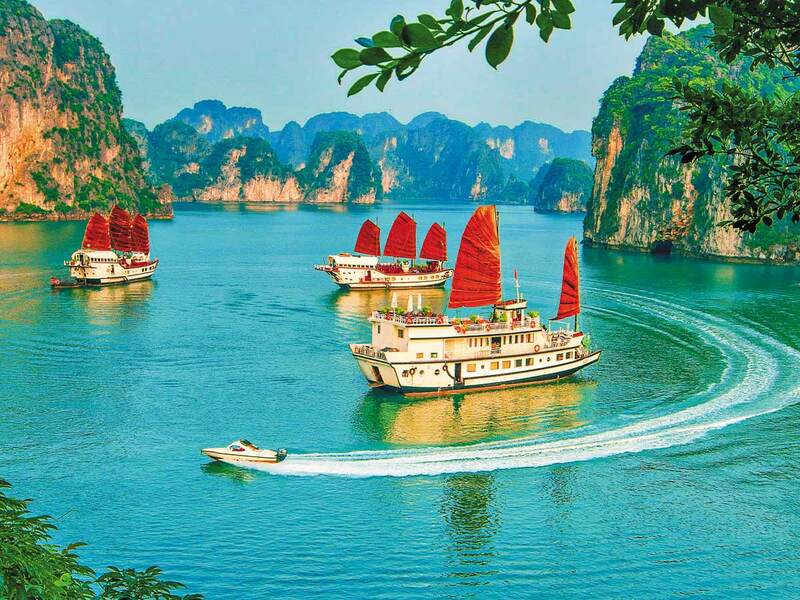 See beautiful Halong Bay with a 1-night cruise. Discover the limestone islands, caves, emerald waters of the iconic bay and enjoy a seafood lunch & dinner onboard! Feast on a delicious breakfast every day when you pull up a seat for breakfast at the restaurants of the hotels! Plus enjoy 3 lunches during your tour – for more information check out the itinerary. The last thing you want to do on your holiday is stress about how you’re going to get to and from the airport & hotels. With us, you won’t have to worry! Enjoy return airport & hotel transfers on us. Get around Vietnam in total comfort! Enjoy air-conditioned coach transportation when travelling between cities on your Best of Vietnam tour (limit 1 piece of 20kg baggage per person). We’ve included all your sightseeing & entry fees so you can savour the beauty of Vietnam. Optional tours are available for an additional cost – click the Finer Details tab for more information. Don’t miss out on a thing! 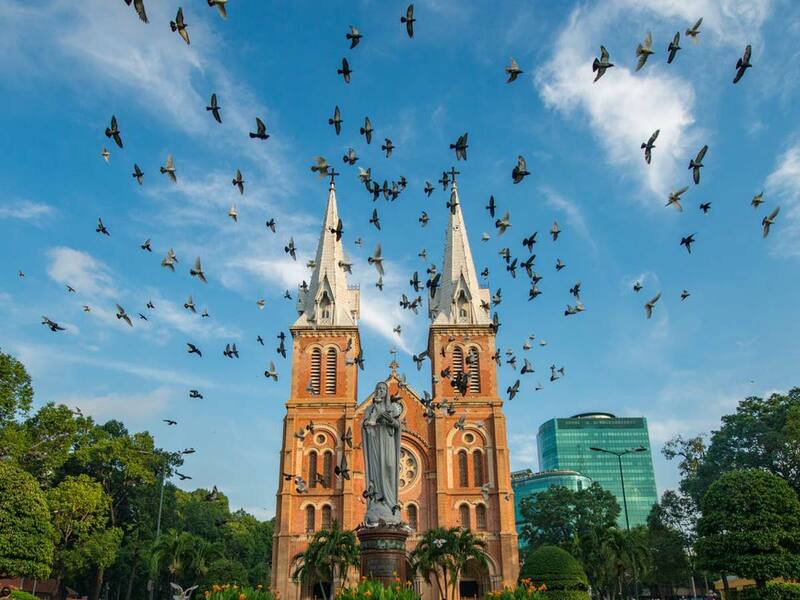 Your tour includes English-speaking tour guide(s) throughout your Best of Vietnam tour to teach you all about the beauty of Vietnam.  Depart from Brisbane, Adelaide or Perth for an additional $300*pp. Airfares may be via Sydney or Melbourne. To secure this deal simply purchase the deposit by clicking on ‘buy now & book later’. After purchasing deposit vouchers customers will be contacted within 72 hours to confirm dates, where any additional extras will need to be paid. 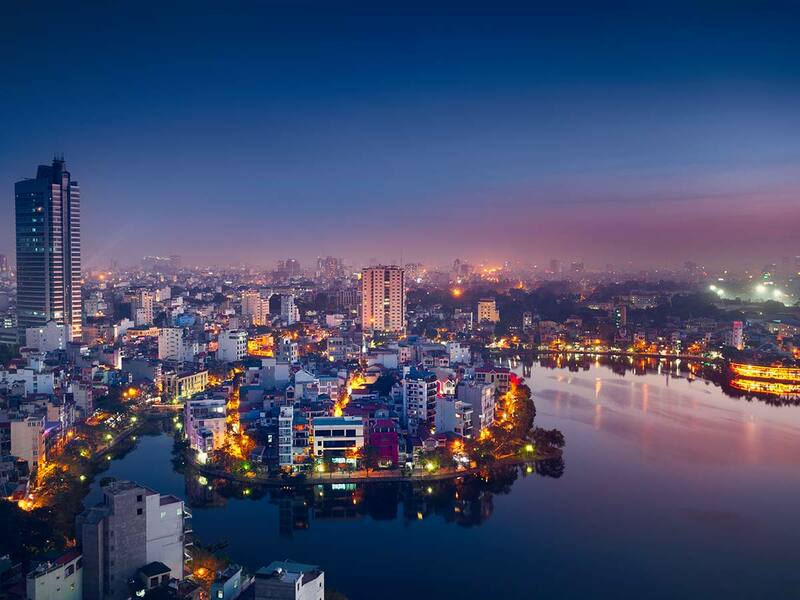 Fly to Hanoi via connecting cities and transfer to the hotel. Note: Some airfares may depart the day before. Visit the infamous Hoa Lo Prison – known as ‘the Hanoi Hilton‘during the American War. Those incarcerated at Hoa Lo included Pete Peterson, who became the ﬁrst US Ambassador to a uniﬁed Vietnam in 1995, and the late Senator John McCain, the Republican nominee for the US presidency in 2008. Visit the Temple of Literature, the ﬁrst university in Vietnam, built for the sons of mandarins. Then it’s on to West Lake and Tran Quoc Temple, the oldest Buddhist temple in Hanoi, which is located on a small island near the southeastern shore of the lake. 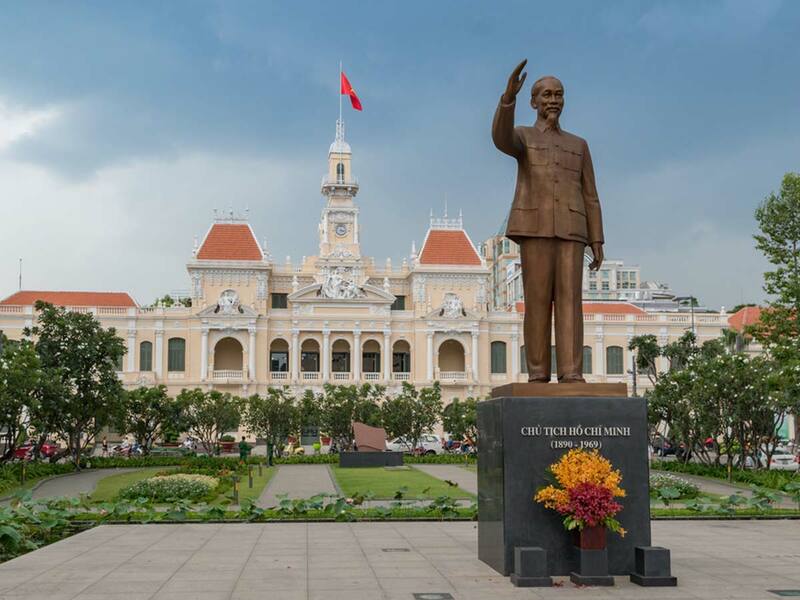 After lunch, visit Ba Dinh Square, where Ho Chi Minh read Viet Nam’s Declaration of Independence on 2nd September 1945. Visit Ho Chi Minh’s Mausoleum (reminiscent of Lenin’s Mausoleum in Moscow), and Ho Chi Minh’s House, a modest residence from which he led the country until his death in 1969. Then, transfer by bus to the ancient ’36 Meandering Streets’ of Hanoi’s Old Quarter. NOTE: Ho Chi Minh’s Mausoleum is only viewable from outside on a Monday or Friday, and from 5 September to 5 November due to annual maintenance. Rules regarding dress and behaviour are strictly enforced by staﬀ and guards. Legs must be covered (no shorts or mini skirt). Optional program – Water Puppet Show and Hanoi Foodie tour (at your own expense): Walk through the bustling old quarter as your guide tells you about the various foods on oﬀer – stop and try some if you like! Then we will stop at a ‘Bia Hoi’ store, sit down and share a relaxing moment with locals. At night, the sidewalks are full of pop-up restaurants which oﬀer truly local food like Banh Cuon (rice rolls with pork and herbs inside), and many kinds of noodle dish. For dinner, you will enjoy Southern beef-noodles in Hang Dieu street. End the night with a drink at a local coﬀee shop, talking about life in Vietnam, before heading back to your hotel. Travel by coach to Halong Bay and take a boat trip to explore one of the world’s great natural wonders, cruising the thousands of limestone islands ﬁlled with caves of all shapes and sizes. The sails of junks and sampans gliding along the clear and emerald waters of the bay form a magniﬁcent picturesque scene that blends with the sky. You also get a chance to visit some of the hidden grottoes beneath the towering cliﬀs. A seafood lunch and dinner will be served on board the charming junk. Stay overnight on board. Enjoy the aquamarine waters of the bay at its best as the junk continues to cruise quietly through spectacular limestone formations. Disembark from the junk at noon and ﬂy to Da Nang. On arrival, you will be picked up and transferred to Hoi An, an ancient town recognised as a World Cultural Heritage site by UNESCO. Check into your hotel. You will be escorted by our local guide to discover Hoi An by walking tour through the narrow streets of this charming town. Perhaps more than any other place in Vietnam, Hoi An retains the feel of centuries past. 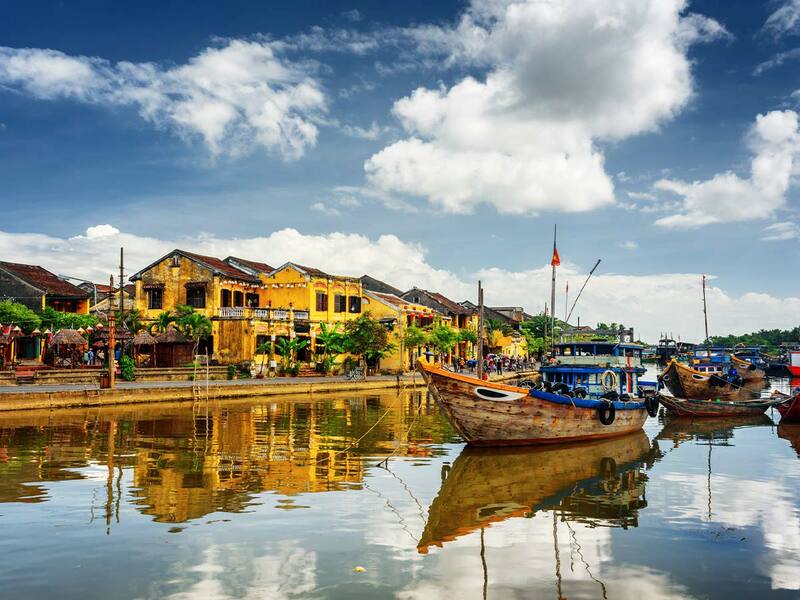 Once known as Faifo, Hoi An was an inﬂuential port along the Silk Road. For over 500 years merchants from China, Japan, France, and Portugal settled in the prosperous town resulting in a distinctive blend of culture, cuisine, religions and architecture. In 1999, the town was declared a UNESCO World Heritage Site. Then, visit the highly-regarded Bebe Tailor Shop to discover the story behind Vietnam’s traditional outfits. The afternoon is free for your own leisure. Optional Program A – Half-day cycling tour from Hoi An to Tra Que Village (at your own expense): Take a scenic bicycle ride through the rice paddies to Tra Que Village just outside Hoi An. This little village is well-known for supplying the many restaurants and hotels in the area with fresh herbs and vegetables. Walk through the vegetable gardens, experience how the local farmers work the land and learn more about the history of the village and the importance of herbs in Vietnamese medicine and cuisine, before your relaxing pedal back to town. 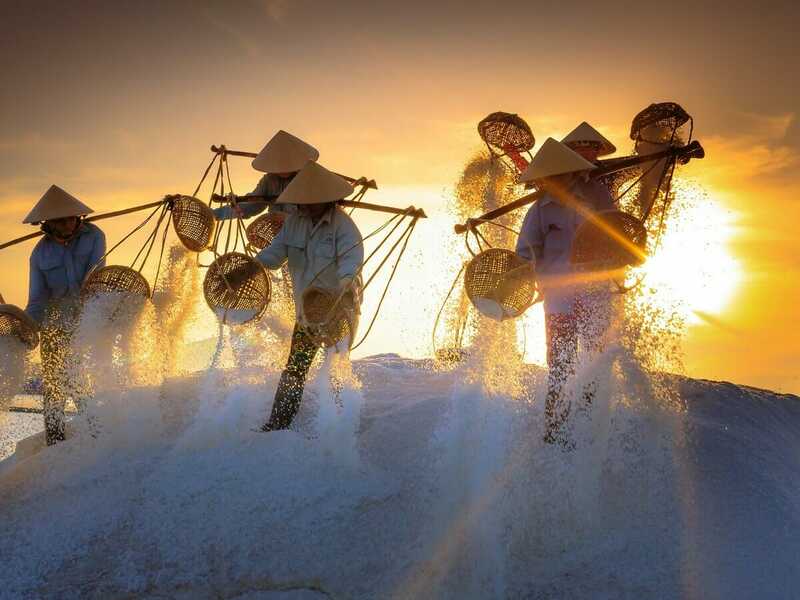 Optional Program B – Fishing Village & Waterway Eco-tour (at your own expense): Enjoy an authentic social and cultural insight into the local Vietnamese way of life. Drive to a local farming village travelling along picturesque country roads. Explore the now tranquil coconut-palm flanked waterways of a past war and hear of the extreme conditions endured by soldiers on both sides. Meet local fishermen and experience their daily life. You will take a wooden boat to a ‘water coconut forest’, and join local fishermen on the river to experience round net and cast net fishing. Learn to paddle bamboo basket boats and join in a basket boat race. You’ll also learn how to use reeds or palm leaves to make grasshoppers, birds, rings, sunglasses, etc. Return to the boat to enjoy lunch and a cold beer or soft drink and then return the hotel by car. Optional Program A: Half-day Da Nang Tour (Ba Na Hills & Golden Bridge). Explore Ba Na hills, sightseeing the panoramic views of Quang nam – Da Nang city; Discover the famous Golden Bridge (pictured bottom right); See famous places such as the French Village Campanile, Nine Floor Goddess Shrine, Tombstone Temple, Linh Phong Monastery, and Linh Chua Linh Tu Temple, and discover Fantasy Park with its adventurous games. Includes lunch. Optional Program B: Evening Cultural Stage Show. Lune Performing Center Hoi An. The Centre, with its graceful bamboo dome architecture, is known for such performances as My Village, Teh Dar, and The Mist. The shows portray the daily lives of farmers, minority tribes, and urban and rural dwellers, and carry Lune Productions’ vision of upholding Vietnam’s culture and heritage, creating a whole new destination where heritage and art converge. Today, drive to Hue City stopping along the way to take pictures at Lang Co Beach during the Nguyen Dynasty (1802-1945) Hue was the political, economic and cultural capital of Vietnam and its historical monuments were recognised as a World Cultural Heritage Site by UNESCO since 1993. One of the largest battles of the Vietnamese revolutionary war was fought in Hue, as part of the 1968 ‘Tet Offensive’ that turned the tide of the war against the US-backed Republic of Vietnam. On arrival, you will take a boat trip to Thien Mu Pagoda – an historic pagoda on the banks of the Perfume River. Apart from the scenic riverside and hilltop location, the Thien Mu Pagoda and its environs are rich in history, standing witness to almost four hundred years of tumultuous nation-building in Vietnam. 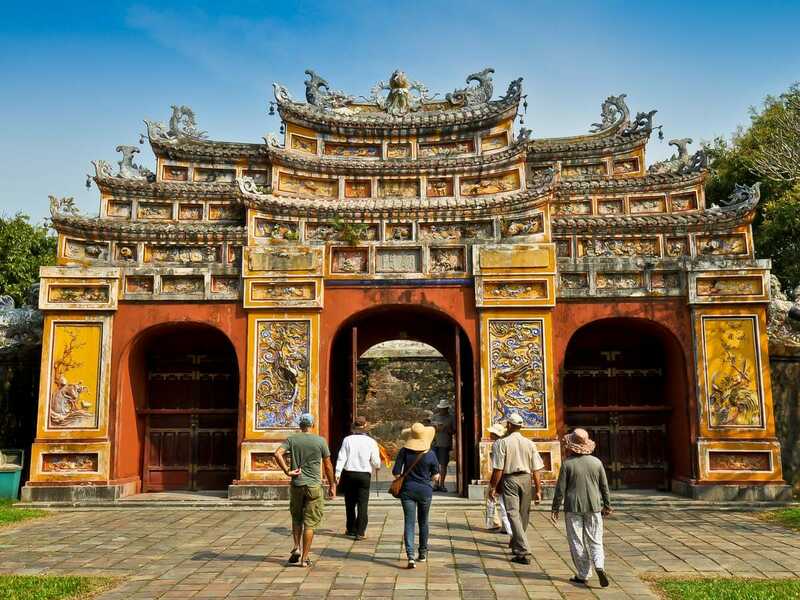 Travel to the centre of Hue city, visit the massive Kinh Thanh Citadel the most well-known and iconic site of Hue, a sprawling complex within 2.5km of walls, comprised of the Imperial City, several museums, lakes, and lovely gardens, all laid out in a series of concentric circles. Optional program – Royal Dinner (at your own expense): Dress in beautiful traditional clothes (provided by the restaurant) and be served a sumptuous meal of dishes which used to be made for the royal family and enjoy live music during dinner. We transfer to Hue airport to catch a morning ﬂight to Ho Chi Minh City. On arrival, transfer to visit the imposing Dong Khoi Street (formerly Catinat street) before going to the Notre Dame Cathedral. This is the most famous landmark, as the twin bell towers can be seen from a great distance. In the same square is the famous Saigon Post Oﬃce, the largest functioning post oﬃce in Vietnam. Continue on to visit Reuniﬁcation Palace, the palace of the presidents of South Vietnam before 1975, and the War Remains Museum, where you can learn about the Vietnam War. Later, visit Ben Thanh Market before returning to your hotel. Drive through the Mekong Delta, home to the richest agricultural lands in Vietnam. On arrival at My Tho City, take a boat trip on the Mekong River to ﬁshing villages and Dragon, Unicorn, Turtle and Phoenix Islands. Crossing the Mekong River, you’ll cruise along a small canal to see the daily life of locals in Ben Tre province, visiting Quoi An bee farm and handicraft workshop to enjoy some honey-tea and see how people make things from coconut wood. Take a horse cart along country roads to visit orchards, enjoy tropical fruit and listen to traditional music. Then, take small sampans back to your cruise to ‘Coconut Village’ for a coconut candy workshop and tasting. Visit Phoenix Island for a rice-paper workshop, then return by boat to My Tho and then by road back to Ho Chi Minh City. Enjoy the rest of the day free at leisure. Visit the amazing Cu Chi Tunnels, a well-known relic of the Vietnamese revolution. This cobweb- like tunnel complex is a network of underground dug-outs over 200 km long, consisting of many layers and turnings with meeting, living and ﬁghting quarters where we learn ﬁrst hand how the Viet Cong survived their extraordinary underground existence during the Vietnam War. Visit a lacquerware factory on the way back, and then enjoy the remainder of the day at leisure. You may also join an optional dinner cruise on Saigon River. Optional program – Optional Lunch (at your own expense): Hoi An Sense restaurant is a beautiful harmony between refined cuisine and unique architecture. Set on an opulent rooftop with intimate terrace, relaxing fish pond and vivid lanterns, Hoi An Sense draws influences from vibrant flavours of Vietnams central region. Dinner Cruise (at your own expense): Cruise on Saigon River. Enjoy a delicious selection of local dishes as you take in the ambience of this charming city. Please note: All hotels are based on local star ratings. All optional activities require a minimum of two people and must be booked and paid for at least two months prior to departure to Nexus Holidays. Prices are subject to change without prior notice, so strongly recommend booking optional activities at the time of submitting online booking form to Nexus Holidays. On day five, only one activity may be selected. All prices are per person twin-share unless otherwise stated and subject to revision without notice. Itineraries, airlines, hotels and ships are subject to availability and change. Nexus Holidays reserves the right to provide substitutes of similar quality and adjust the itinerary as we see fit to ensure smooth operations. Passengers must remain with the group at all times. Fees may apply for deviations from the set itinerary. Total length of trip includes time spent in flight and it subject to flight schedule. Airfares are not available until approximately two weeks before departure and may involve up to two transits per leg. Please check all information before booking. By booking you accept all booking conditions. After purchasing deposit vouchers customers will be contacted within 72 hours by our booking partner Nexus Holidays who will forward a booking form to confirm dates, where any additional extras will need to be paid for to Nexus Holidays. Travel documents are emailed out within 2 weeks prior to departure. Prices are correct at the time of publication, are twin share per person, may change without notice & subject to availability. Guaranteed availability on selected travel dates only. See website for full terms, conditions & travel dates.